THIS WEEK ONLY – items are 40-50% off list price. Please get in touch to get the best deal. Prices are in NZ dollars and incl GST from Taranaki, New Zealand. Please inquire about delivery options. Sheoak and Rimu Coffee Table with live edge center. All mortise and tenon joinery, with a sliding dovetail connecting the top to the base. Sheoak and Rimu End Table. All mortise and tenon joinery, with a sliding dovetail connecting the top to the base. White Oak and Mahogany End Table. All mortise and tenon joinery, with a sliding dovetail connecting the top to the base. 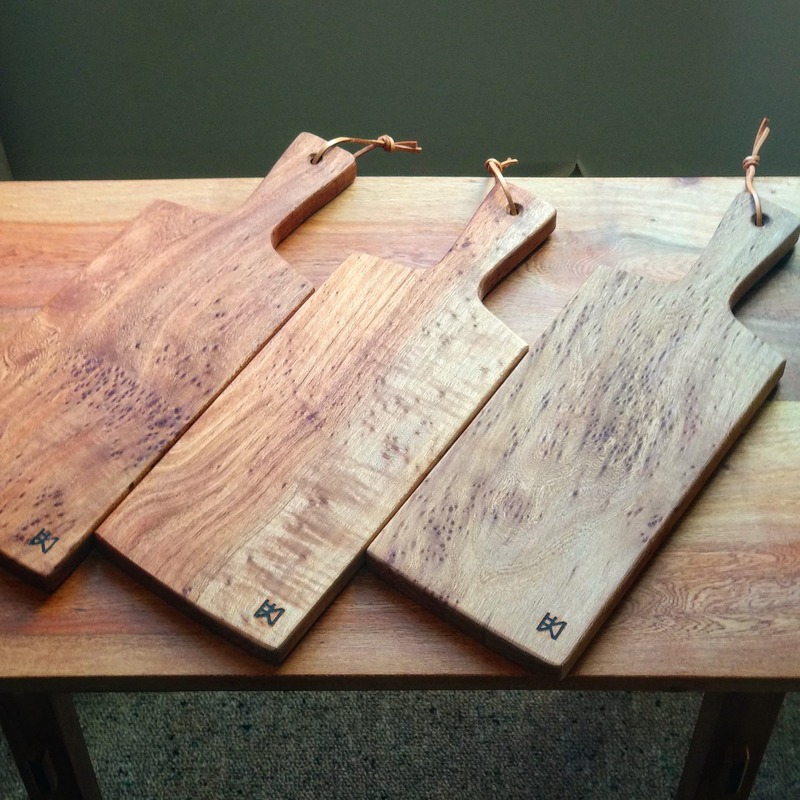 Tapas/ Cheese boards made from locally milled Sheoak.